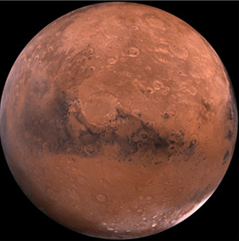 Mars: It is the fourth planet from the Sun and the seventh largest in the solar system. Above all, Mars (Greek Mythology: Ares) is the god of War and also known as RED Planet because of Red colour in Nature. The Roman god Mars was a god of agriculture before becoming associated with the Greek Ares; those in favor of colonizing and terraforming Mars may prefer this symbolism. The name of the month March derives from Mars. orbit: 227,940,000 km (1.52 AU) from Sun: (1 AU) distance between Sun and Earth and diameter: 6,794 km- mass: 6.4219e23 kg Mars has two moons, Phobos and Deimos, which are small and irregularly shaped. Of all the planets in the Solar System, the seasons of Mars are the most Earth-like, due to the similar tilts of the two planets’ rotational axes. However, the lengths of the Martian seasons are about twice those of Earth’s because Mars’s greater distance from the Sun leads to the Martian year being about two Earth years long. This belt is found between Mars and Jupiter. It is a Disk like shape Belt with Millions of large terrestrial body with irregular shape without any pattern and Size. 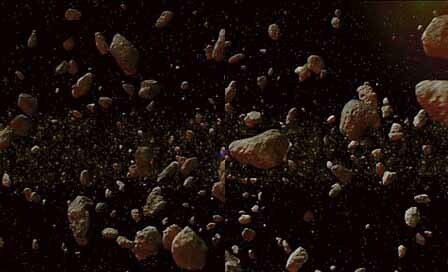 Astronomers think that the asteroid belt is made up of material that was never able to form into a planet, or of the remains of a planet which broke apart a very long time ago. The largest asteroid is called Ceres. It is about one-quarter the size of our moon. It is a dwarf planet. That Place is between 2.2-2.5 AU from Sun. The solar system contains many different types of asteroids, grouped by the minerals they contain. The abundances of precious metals such as nickel, iron, and titanium and water make asteroids an attractive target for mining operations in near future. NASA knows about 5000 asteroids in detail. Myth behind the Name: Jupiter is the supreme god of the Roman pantheon, called dies pater, “shining father”. He is a god of light and sky, and protector of the state and its laws. He is a son of Saturn and brother of Neptune and Juno (who is also his wife). Other titles of Jupiter include: Caelestis (heavenly), Lucetius (of the light), Totans (thunderer), Fulgurator (of the lightning). As Jupiter Victor he led the Roman army to victory. Jupiter is also the protector of the ancient league of Latin cities. His attribute is the lightning bolt and the eagle is both his symbol and his messenger. He was the most powerful god at that time after Zeus (Greek god) or equivalent. Jupiter is a largest Planet in our Solar system. Its similar to Star but it doesn’t produce light and heat by itself. Jupiter helped revolutionize the way we saw the universe and ourselves in 1610, when Galileo discovered Jupiter’s four large moons — Io, Europa, Ganymede and Callisto, now known as the Galilean moons. Jupiter has 64 Moons* . 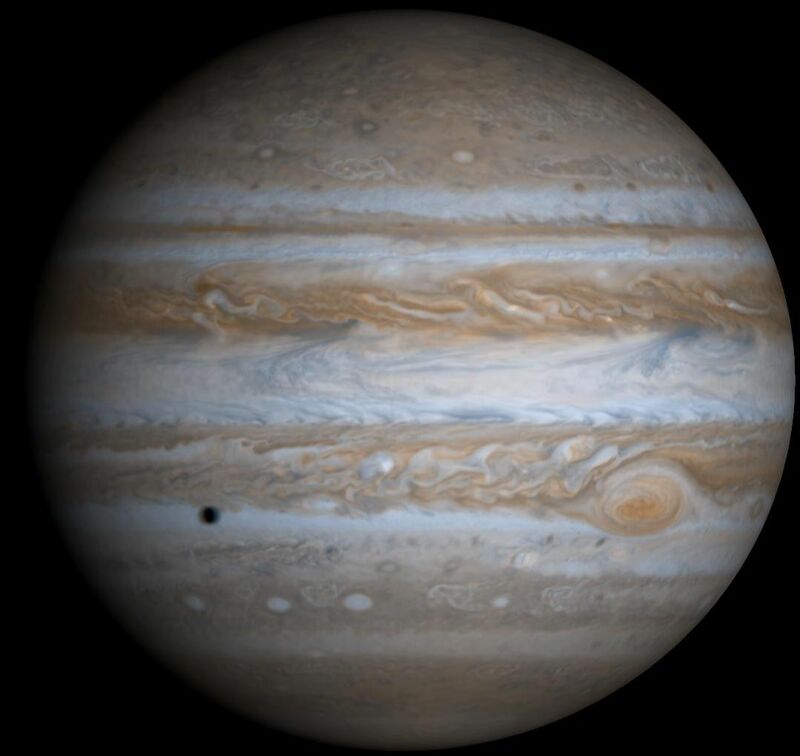 The immense volume of Jupiter could hold more than 1,300 Earths. The colourful bands of Jupiter are arranged in dark belts and light zones created by strong east-west winds in the planet’s upper atmosphere traveling more than(660 km/h). We still don’t know that it is hard rock planet or gas giant planet. The most extraordinary feature on Jupiter is undoubtedly the Great Red Spot, a giant hurricane-like storm seen for more than 300 years. At its widest, the Great Red Spot is three times the diameter of the Earth, and its edge spins counter-clockwise around its center at a speed of about 400kmph. Jupiter Magnetic field is 20,000x times stronger than Earth and Gravity is 2.4x times than Earth. Jupiter spins faster than any other planet, taking a little under 10 hours to complete a turn on its axis, compared with 24 hours for Earth. *Fact: Ganymede is the largest moon in our solar system, larger even than Mercury and Pluto. 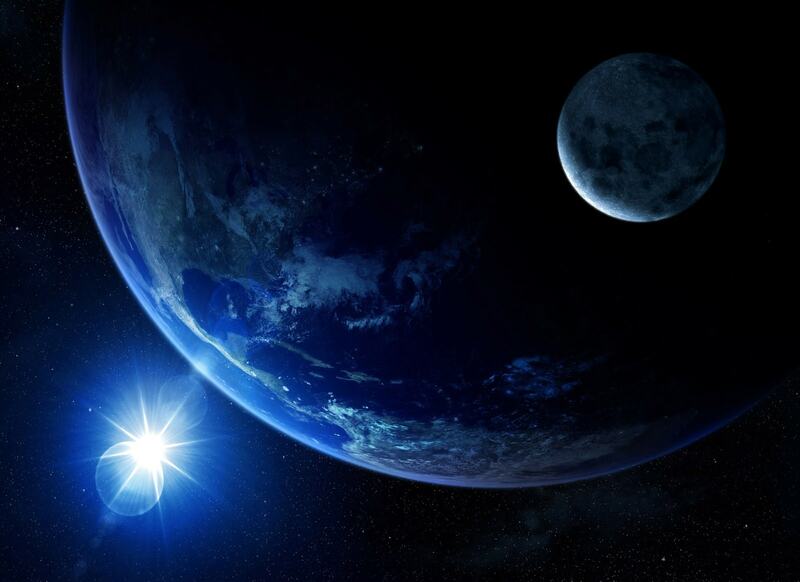 It is also the only moon known to have its own magnetic field. Jupiter’s three rings came as a surprise when NASA’s satellite Voyager 1 spacecraft discovered them around the planet’s equator in 1979 1st time in human history. The inner cloud-like ring, called the halo, is roughly 20,000 km thick. The halo extends halfway from the main ring down to the planet’s cloud tops and expands by interaction with Jupiter’s magnetic field. Both the ring and halo are composed of small, dark particles or may be large Dust. The third ring, known as the gossamer ring because of its transparency, is actually three rings of microscopic (very small) debris from three of Jupiter’s moons, Amalthea, Thebe and Adrastea. Again we will get to know about everything in detail on later time.